'WAR GHOSTS' CONTINUES! AMERICA is readying for its final war with ATLANTIS! 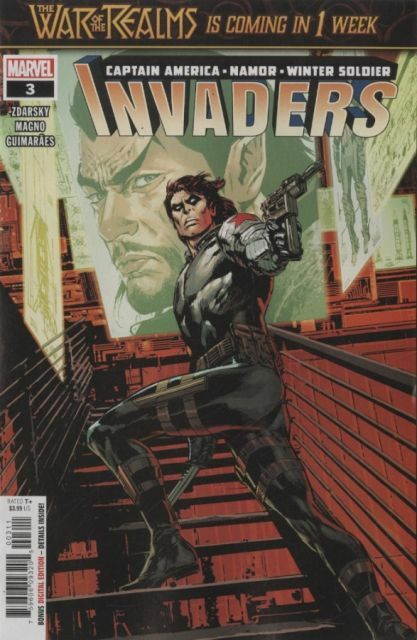 It's a race against the clock as the WINTER SOLDIER infiltrates the military and CAPTAIN AMERICA confronts NAMOR'S human allies alongside the ORIGINAL HUMAN TORCH! Can they get to the bottom of NAMOR'S plan in time?